Here is our list of fun things to do in St. Maarten. 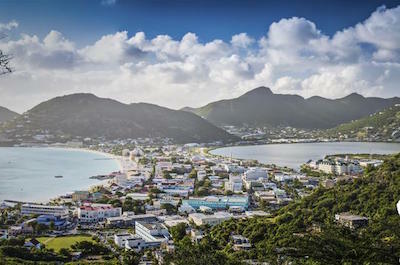 A combination of Dutch and French cultures make St. Maarten a fascinating place to explore. Set in a tropical paradise, you can soak up the sun on stunning beaches, stand on a beach where planes fly so low overhead that your hat flies off, snorkel in azure blue waters and swim with dolphins. Take a bike ride, a walking tour, an ATV ride or a luxury bus to discover the local sites. Sail around the coast on a sailboat or catamaran, sipping cocktails as the sun sets. Read on to discover the best tours in St. Maarten and activities! 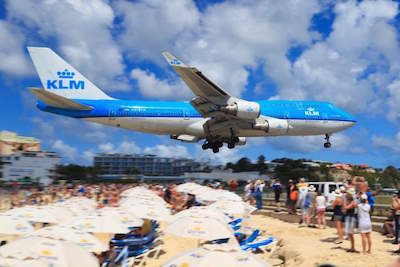 When you are looking to experience the most popular thing to do in St. Maarten, then you need to go to Maho Beach and witness the airplanes landing at the Princess Juliana International Airport. Your whole family will enjoy the experience of standing on the beach as huge jetliners pass just feet above your head as they approach to land just feet away at the airport. You will feel the pulse of your heart as your adrenaline begins to flow at higher rate when the planes begin to land. This is not just a one-time event as throughout the day airplanes land at this international airport. The sight is spectacular and is viewed around the world as the best place to watch airplanes land. An added bonus with this attraction is the beautiful white sands of Maho Beach where you can swim and snorkel in the warm waters of Caribbean Sea as well as just relax as the planes pass overhead. 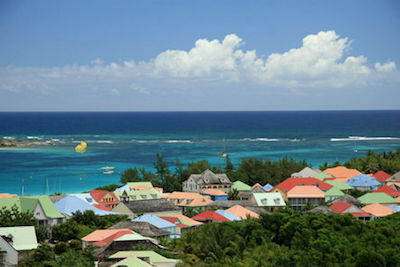 Getting a feel for both the French and Dutch sides of the island is a fascinating thing to do in St. Maarten. Explore this interesting island where the French settled on the one side and the Dutch on the other. Head to Grand Case Beach and spend the day in the warm tropical sun with the crisp white sand surrounding your feet. Stroll over to the village of Grand Case and enjoy the delicious cuisine on offer. Next, visit Marigot a wonderful little town for a spot of shopping. End the day with planes soaring right above you over Maho Beach with the jet engines whipping your hair backward. Set sail, snorkel and enjoy the incredible crystal waters of the Caribbean. Whether your passion lies with sailing the 7 seas, snorkeling great reefs, or just cruising along the ocean, these are some great things to do in St. Maarten. Hit the water via sailboat, schooner or speedboat and experience the tropical waters as the warm sea spray kisses your skin. Head to Anguilla and spend the day snorkeling some of the most magnificent reefs. Continue your journey to Prickly Pear Cays, a pair of uninhabited islands, another great snorkeling spot. It is one of the best St. Maarten activities. As the sun dips behinds the horizon, sail out into the ocean on the Tango Caribbean Dinner Cruise, true to its name you will dine and dance the night away! Visit beaches comparable to the best beaches in the entire world. Sound like the perfect day out? Head to Anguilla, a wonderful unspoiled island. 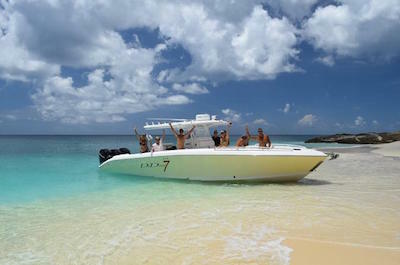 Some of the great things to do in St. Maarten are playing a round of golf, diving and fishing, all offered on Anguilla. The magnificent coastline will certainly take your breath away and will be a favorite memory of the Caribbean long after you return home. Head to the island via speedboat or catamaran stopping for a spot of snorkeling on the way. An amazing experience lies at Dolphin Discovery, get to know these bottle-nosed dolphins up close and personal. Truly an awe-inspiring experience. Grab your hiking boots and spend a day in this special piece of paradise. As the volcanic peaks rear out of the Caribbean you will be completely captivated by the incredible plant and animal sanctuary. 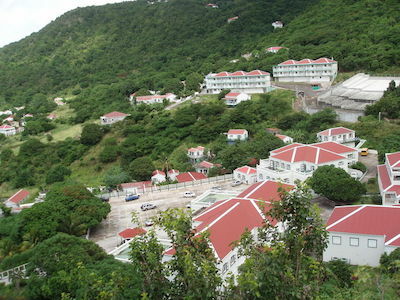 Head up Mount Scenery, the highest peak on the island and one of the best tours in St. Maarten. Saba Island is also well known worldwide and one of the best diving spots in the world, complete with magnificent underwater abysses and cliffs, filled with rare tropical marine life. Taking a hike in Saba's rainforest is a brilliant thing to do in St. Maarten, along with many fantastic photo opportunities that are sure to make your friends at home jealous! May the force be with you! Be captivated by some of the best things to do in St. Maarten including visiting the Yoda Guy Movie Exhibit. Explore an incredible private collection of movie relics and learn about the making of over 53 movies including Star Wars, Superman and The Terminator to name a few. After you are all Star WarsOd out, climb on a bicycle and cycle through Philipsburg. Learn all about the history of the city capital including stops at the cityOs oldest inn and Fort Amsterdam, the CaribbeanOs first Dutch Fort. End the day with a visit to Great Salt Pond Island on a quaint Trolley Train and discover the wonderful birdlife in the national bird sanctuary. Surround yourself with some of the most incredible smells and flavors of the Caribbean. Tasting the local cuisine, not to mention the fantastic rum, is one of the best things to do in St. Maarten. Hit the street and visit 5 different restaurants in St. Maarten/St Martin on the Flavors of St. Maarten Food Tour. The restaurants you visit will all have different foods on offer giving you a real sense of the Caribbean culture and cuisine. Alternatively, head off on foot, taste local favorites as well as the artisan rums on offer. As the sun sets venture into the streets for a night of fun on a private tour. Your guide will take you to hip and happening hot spots! If you were stranded on a deserted island and could take one item with you, what would it be? For this adventure, that item would be your snorkeling gear! Exploring Prickly Pear Cays is a great thing to do in St. Maarten. 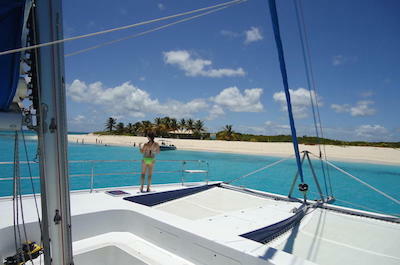 Climb aboard a luxurious catamaran and take a trip to a magnificent unspoiled beach northwest of Anguilla. Feel the sun on your skin as you snorkel among the colorful reefs and shipwrecks that surround the Cays. Relax on the shore in the sun, soaking up the wonderful rays and working on your Caribbean tan, followed by an incredible lunch accompanied by local cocktails. A wonderful day in paradise. 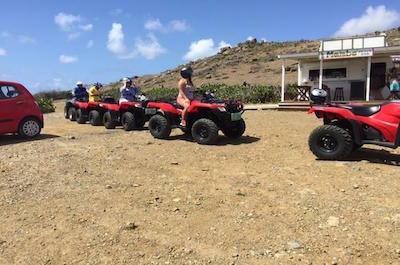 If you love the rough and rugged, ATV tours are a thrilling thing to do in St. Maarten. 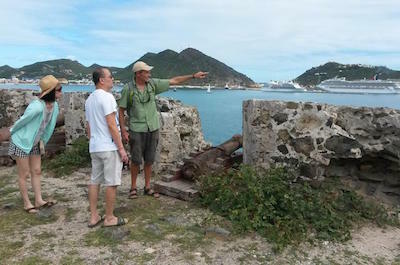 Tours in St. Maarten are well organized, safety lessons and gear is provided. Climb on a quad and zoom over to Orient Bay where you can bask in the sun and catch up on some relaxation. Next, head to Grand Case with a stop at Cole Bay Hill, towering above the bays below. Hire a Jeep and explore Simpson Bay lagoon or Mullet Bay Beach, 4x4 style and take a dip in the clear ocean. For the adventurous, hire an ATV and zoom over the sand to Frais Bay, where the hidden Forgotten Beach awaits you! Discovering some of the most incredible birdlife that calls the Caribbean home is a recommended thing to do in St. Maarten. Head to some of the most wonderful fresh and salt water ponds on the island on the Bird Watching Tour and donOt forget your binoculars! Spot rare birdlife on the shores and wading in the water. Document each bird you spot as your knowledgeable guide explains why these birds are so very special. 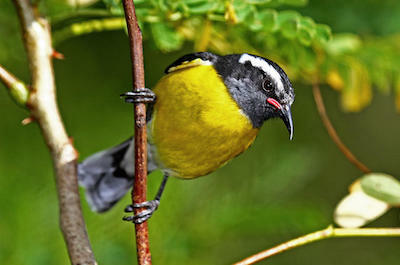 You are bound to see over 30 different bird species including 10 endemic ones. End the day with some Caribbean iced tea and a piece of delicious homemade cake. Pedal power! 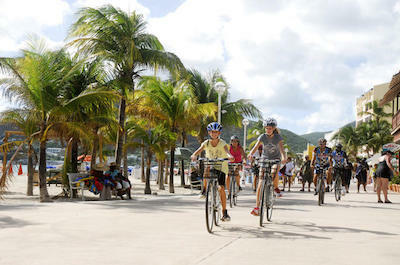 Climb on a bicycle and cycle the streets of tropical paradise, a perfect thing to do in St. Maarten. Check out the sites as you pedal through the winding streets of both French and Dutch sides of the island learning about the historical culture of this magical place. Ride through Philipsburg, up some challenging hills and down through to Marigot where you can explore some of the wonderful markets on offer. Pick up a souvenir or a bite to eat. All this riding will certainly make you thirsty so join the Beer Bike Tour. Grab your friends and pedal down the streets, in turns, while enjoying unlimited beer and listening to interesting facts about the city. 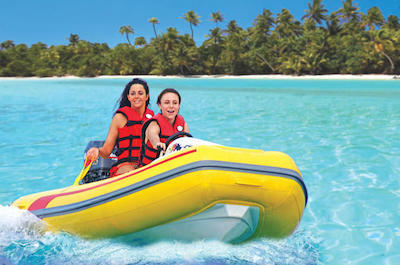 After your biking trip, jumping on a jet boat is the next thing to do in St. Maarten. Zoom over the crystal blue waters of the tropical ocean as the salty sea spray on your face and the warm air through your hair. For adrenaline junkies, hit the water on an amazing water roller coaster, the Thrill Boat! Prepare yourself for 360 spins and side slides on this high-speed exhilarating ride! Fancy something slightly calmer? Climb on board a private speedboat, sip delicious bubbly and visit some magnificent beaches perfect for snorkeling. Head to St Barthelemy and snorkel the best known spot off the island. End the day at Tintamarre with an amazing beach-side meal. The Caribbean ocean is one of the best places for exercising our sense of discovery. Access one of natureOs most wonderful realms by snorkeling some of the best spots off the island coastline, a wonderful thing to do in St. Maarten. Head to Creole Rock, one of the best St. Maarten activities, via speedboat or, motorized inflatable boat, and snorkel the magnificent reefs rich with marine life including sea turtles, rays, and an occasional octopus, if they arenOt too camera shy. Next head to Tintamarre Island, Happy Bay, and Baie Rouge with a beach stop at Mullet Bay for some time-out in the sun. End the day on the Omother shipO that will accompany the tour, sipping delicious drinks, enjoying the last sun rays and admiring the view. Become one with the incredible water world of the Caribbean. 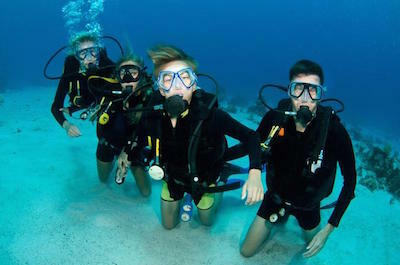 One great thing to do in St. Maarten is to Scuba Dive some of the best spots located just off the island. Set sail from Simpson bay and discover two incredible dive spots filled with shipwrecks and amazing tropical reefs. Come face to face with some incredible marine life that calls some of the shallow reefs home. For the more experienced divers, head to 75 deep water off Divi Little Bay. Swim among humongous fish and magnificent eagle rays. Be enthralled by OMikeOs MazeO a colorful coral reef home to wonderful marine life. Underwater cameras are a must for this one!